BONADUZ, Switzerland — Tele Südostschweiz, located in southeastern Switzerland, has recently installed a Studer OnAir 3000 console into the broadcast control room, providing the engineers with a wide range of flexibility and excellent audio quality for its wide range of productions. The installation of the Studer OnAir 3000 consoles into the new studios emphasize the necessity for clear workflows and an infrastructure that supports the production of daily newscasts and the administration of purchased programs as efficiently as possible. 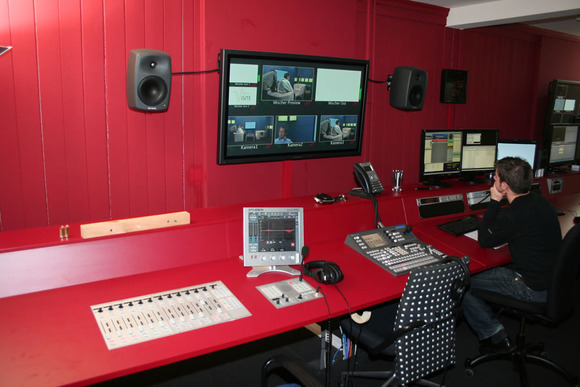 The VJ’s of Tele Südostschweiz have a total of nine HD cameras available, which allows them to directly record reports onto flash data carriers for additional broadcast versatilty. Three production centers with twelve editing workstations at available to the VJ’s at the main studio in Bonaduz. There are also three workspaces in the regional studio in Glarus for extended versatility. At the Glarus facility, the material is received, edited, set to music and then filed for production, where the finalized features are distributed to the playout system in MPEG-2 format.